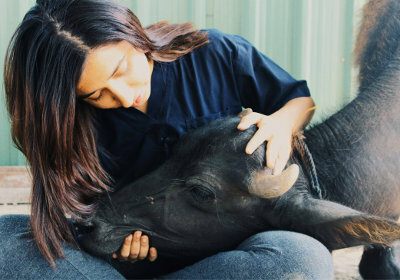 RESQ’s mission is to reach a day where all animals are happy and free from unnecessary suffering. 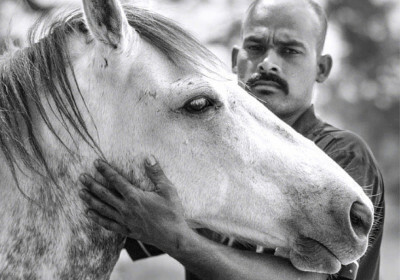 We work towards reducing human-animal conflict by rescuing and treating un-owned street animals who are sick or injured. 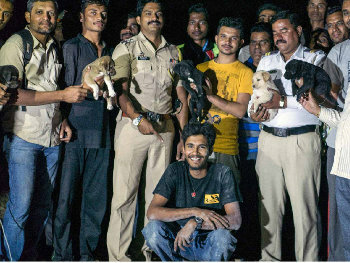 Through our activities, we also work towards educating and inspiring the urban community to peacefully co-exist with animals on our streets. 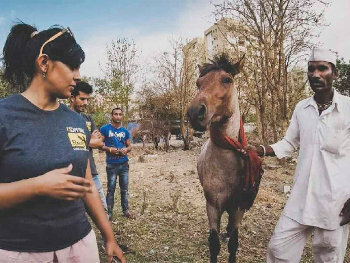 We are one of India’s most active citywide rescue services and attend to over 60 animal distress reports on a daily basis. Read More about our RESQ Stories here. RESQ was founded in 2007, and our focus is to always remain dedicated to the animals. 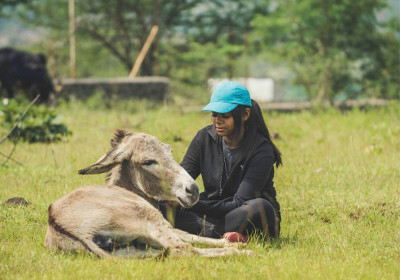 The organization began at a time when there were no other entities conducting hands-on rescue for animal emergencies on the streets of Pune. This resulted in wounded and sick animals on the street that lay suffering and without help. 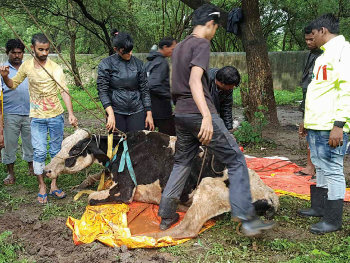 In this situation, it was very difficult -- even for a person who may have felt empathetic towards an injured animal -- to do something, because there were no on-site ambulances or medical rescue teams to call for help. 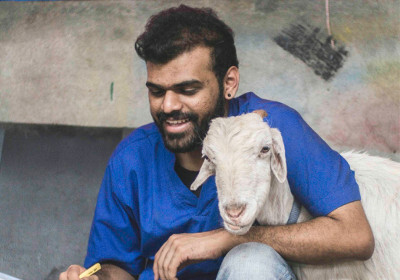 It desensitizes people: When people see an animal suffering and are unable to do something about it repeatedly, they tend to grow desensitized and ignorant. 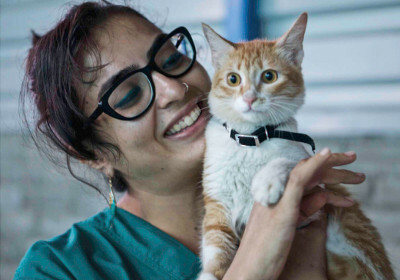 Increase in conflict: It is important that the animals on our streets are healthy, neutered and vaccinated, as a sick or injured animal is more likely to react or attack in defense or pain, and may end up causing harm to another animal or human out of helplessness. 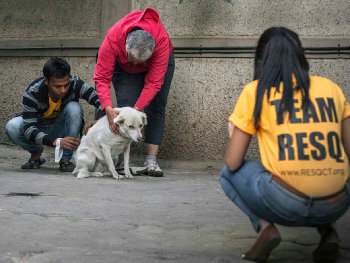 From day one, we at RESQ have always offered our services free-of-cost for the street animal and human community. 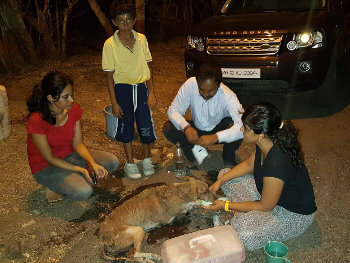 We have retained this policy of free treatment even though we have had trying times, because we believe the thought of having to compulsorily give a monetary contribution should not deter an individual from reporting an animal in need of medical help. 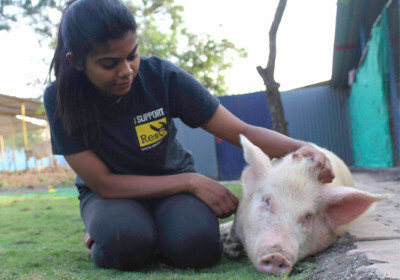 What animals do we RESCUE? At RESQ, we rescue animals that are hurt and injured, and only the homeless or “unowned” ones. 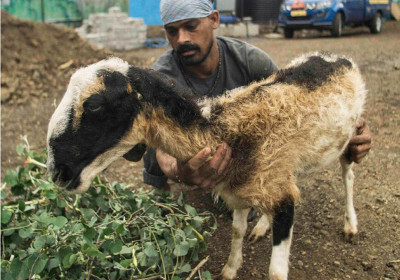 Thousands of animals live on the streets of Pune including dogs, cats, cows, buffaloes, donkeys, horses, pigs, goats, sheep and birds. 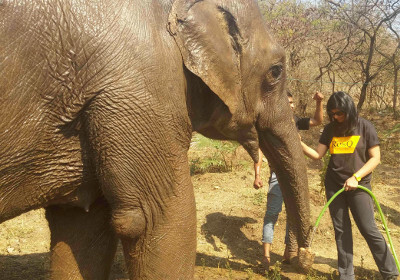 Sometimes, we also offer help to other legal organisations with respect to rehabilitation of seized animals or cruelty cases, and have thus rehabilitated laboratory-rescued beagle dogs and several elephants in the past few years at the RESQ Centre. 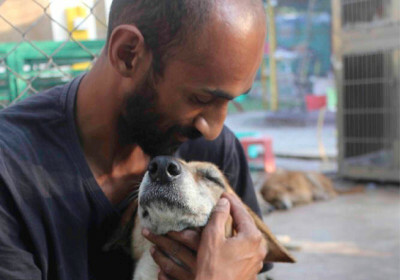 Street dogs survive on the road off garbage or leftovers (they have been scavengers for thousands of years!). While some dogs and cats live in quiet lanes, it is very common to find main roads and intersections with plenty of street dogs, where they forage for food from garbage dumpsters. The street dog population is said to grow directly proportional to the increase in urban population and garbage (and the lack of proper disposal for the latter!). Cows and bulls get abandoned on the street when they become “non-productive”. Male buffaloes are also often discarded. Because of the urban scenario and lack of grazing area, the cattle forage from garbage dumpsters and end up consuming huge amounts of plastic and other foreign bodies. Several of these animals come to RESQ because of the suffering that stems from consuming these items, and have to undergo Rumenotomy Surgeries (removal of plastic from the stomach). 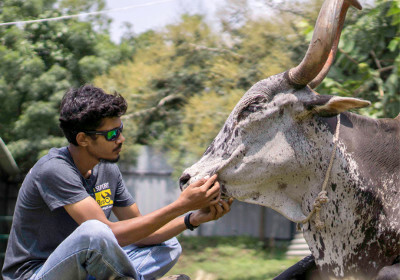 Watch a video about a bull from whom we extracted over 85 kilos of plastic!